The U.S. Department of Agriculture says its hunters have killed nearly four dozen deer at state parks on Long Island because large herds are damaging the landscape. A department spokeswoman tells Newsday that the hunt took place Thursday at Robert Moses State Park in Babylon and four other parks. Unlike members of the public, the USDA hunters are allowed to lure deer with bait such as apples and use flashlights to blind them. The deer they kill are given to food banks. Another deer hunt had been scheduled at the William Floyd Estate in Mastic Beach, but it's suspended until a judge decides whether to grant an injunction to animal welfare groups that sued. Surveillance video captured a scene out of the wild. A mountain lion and deer faced off. 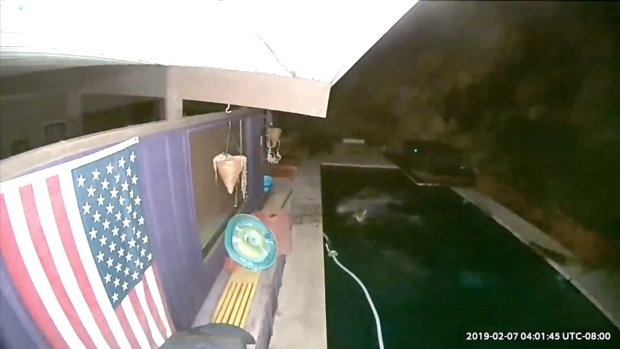 You can see the mountain lion and the deer both jump into the pool and swim around. The lion gives up and the deer is able to escape. 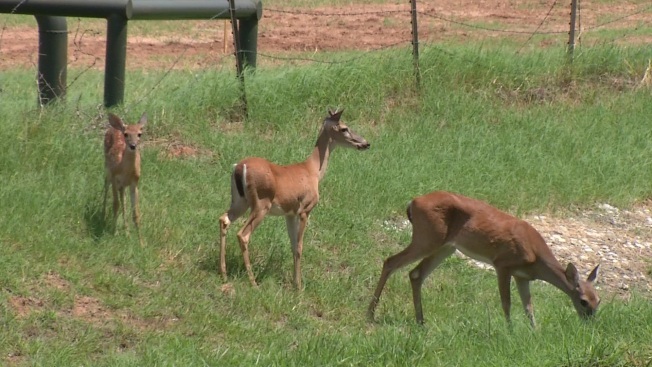 The animal welfare groups say non-lethal methods of deer control should be used.